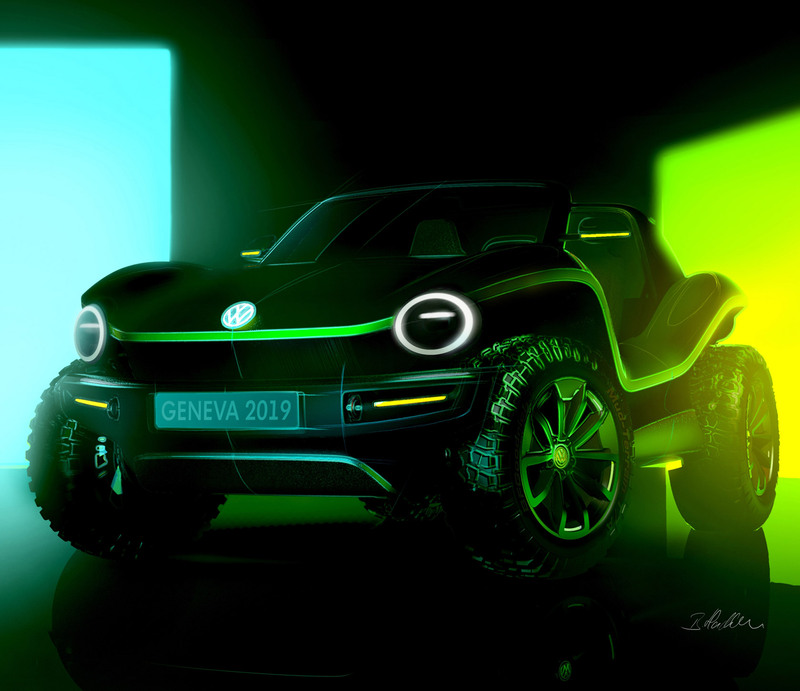 Volkswagen’s fully electric version of a new dune buggy will be officially revealed at the 2019 Geneva Motor Show from March 7-17, and it’s based on the modular electric drive matrix (MEB). 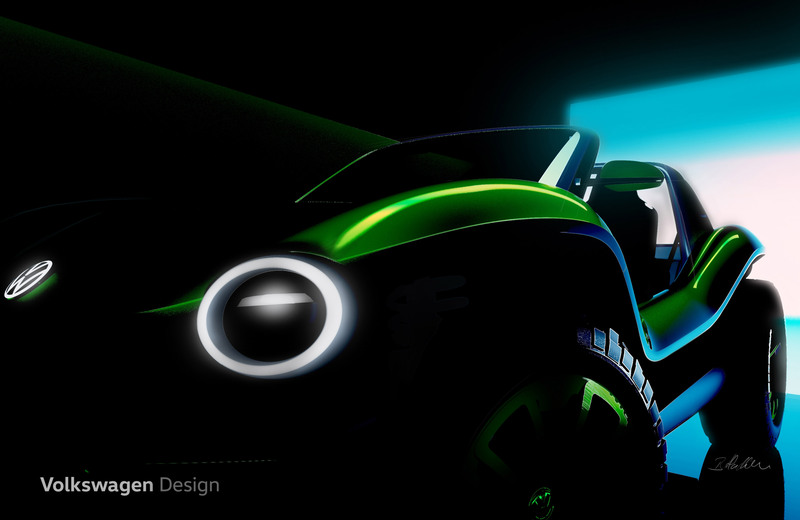 This futuristic reinterpretation of a dune buggy sports no fixed roof or conventional doors, while the large wheels and off-road tires and open side sills dominate the overall look. “A buggy is more than a car. It is vibrancy and energy on four wheels. These attributes are embodied by the new e-buggy, which demonstrates how a modern, non-retro interpretation of a classic can look and, more than anything else, the emotional bond that electric mobility can create,” said Klaus Bischoff, Head Designer at Volkswagen. Read more for a video, another picture and additional information. “The new MEB concept vehicle shows that this fully electric platform can be used for more than just large-scale series production models. Like the Beetle chassis of yesteryear, the MEB has the potential to facilitate the development of low-volume niche vehicles. The history of recreational vehicles and Volkswagen technology is a long one. From the Beetle convertible and special bodies produced by companies such as Hebmüller and Rometsch to dune buggies like the Meyers Manx, the Beetle chassis allowed for creative custom solutions for decades,” states Volkswagen.